What Home Décor Style Are You? The décor of your home is an extension of your personality, both who you are and who you aspire to be. Different décor styles are suited to different homes and different people. You might have developed a preference for a particular style of décor without even realising it. Check out these different home décor styles and see which one you fit into. Modern décor suggests a style that developed in the early to middle part of the twentieth century, but finishing sometime before ‘contemporary’ style. Modern home décor denotes the use of clean, crisp, straight lines, simple colours and ‘modern’ materials such as metal, glass, and steel. The use of aluminium shutters and roller blinds would be more suited to a modern home, as opposed to curtains – which are too flowing, rounded, and traditional to be appropriate. Minimalist style is basically an extension of the modern style, but even further pared back. Minimalist homes stick to a neutral, clean, and airbrushed sort of colour palette – think lots of whites and silvers. The minimalist style avoids unnecessary furnishings and trinkets, preferring an efficient and streamlined feel. Functionality is the hallmark of the minimalist style, yet its heightened awareness of functionality – the emphasis on efficiency – in turn creates its own unique style and aesthetic. White walls with white vertical blinds would fit nicely with a minimalist aesthetic – the blinds turning unobtrusively to allow viewing through windows. On the opposite end of the spectrum, we have the ‘traditional’ style. This is what you think of when you think of classic European home furnishings – lots of details, elegant and sumptuous furnishings etc. The traditional style typically uses lots of dark, finished wood, rich colours and a multitude of textures and curved lines – to produce a rich and intricate viewing experience. The industrial style is a modern look that takes the warehouse and factory aesthetic of our post-industrial age as its inspiration. The industrial style goes for an intentional feeling of things being ‘unfinished’ or ‘in progress’. 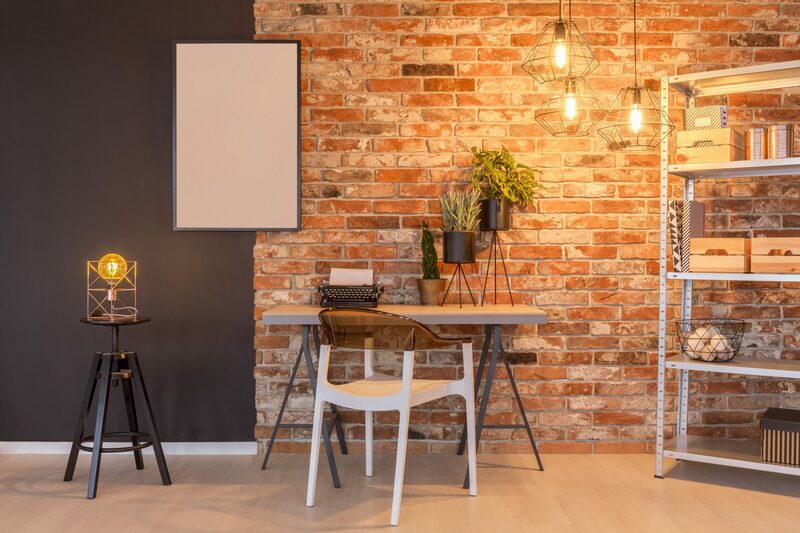 There might be exposed brick walls, high wood panel ceilings, wooden or cement floors, and supporting beams visible and dispersed throughout the living space. The industrial style often aspires to the look and feel of a workshop, meaning the industrial style is heavy on the wood and metals. External aluminium shutters would be appropriate in the Industrial style, not simply for their security and utility but also for the raw ‘industrial’ aesthetic they lend to a home. The team at Modern Blinds cater for a broad array of styles and tastes. We also love working with customers to customise their window furnishings to their heart’s content. Contact us today and let’s explore your unique home décor style!